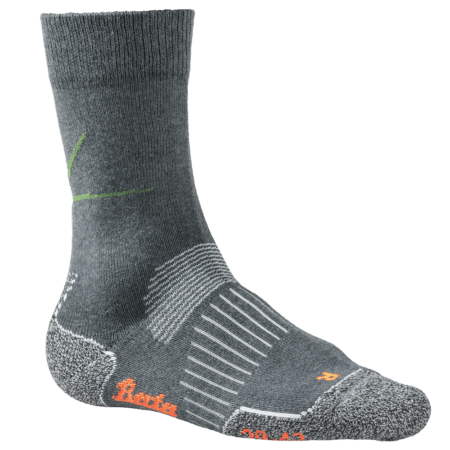 The natural fibers in the Bata Industrials All Seasons will always offer the most comfort to your feet. The wool has a uniform temperature to the skin, holds 30% moisture without feeling wet and is elastic and dirt resistant by nature. 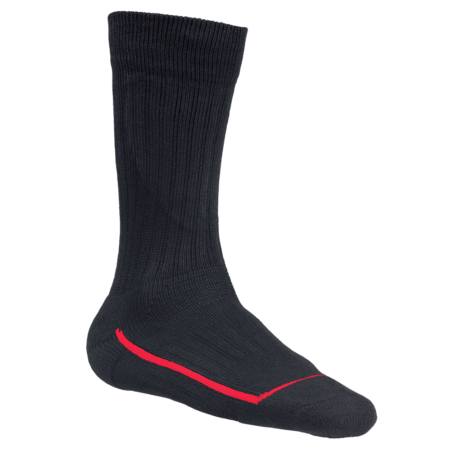 Special zones in every All Seasons sock guarantee perfect fit and comfort. Your feet are safe and protected, supported in the right areas and perfectly comfortable. 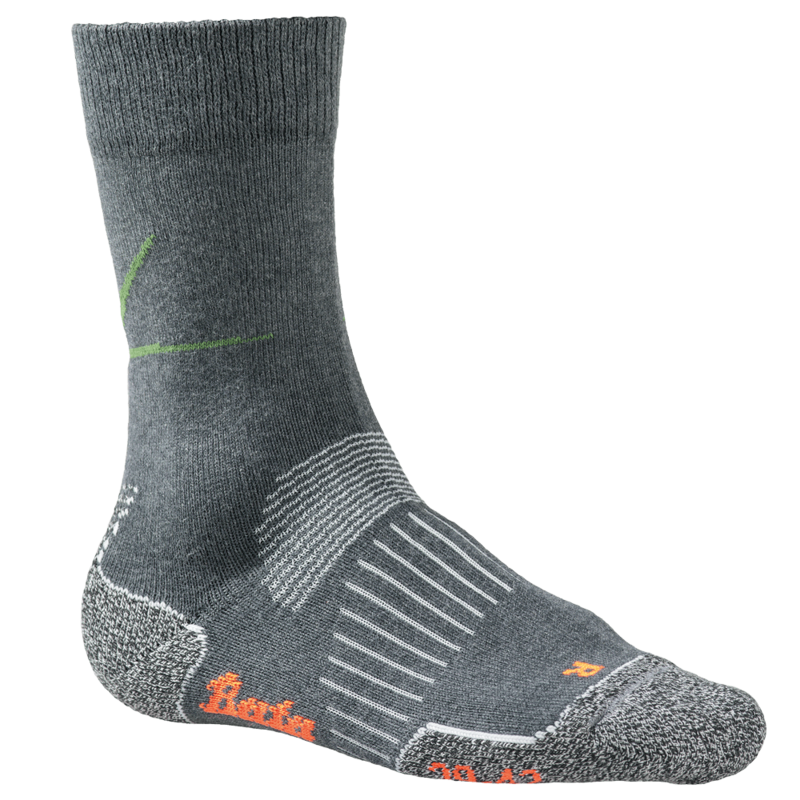 We have developed socks that have extra protection zones all over the sock, to protect your feet and prevent injuries. The separate zones can be seen on the extra image. The comfort board is super elastic; to make sure it is not too tight on your leg. The leg support is created by giving the sock extra strength; this helps to keep your leg in the right position. 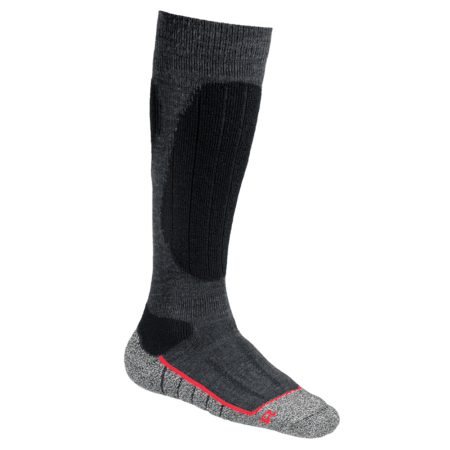 The ankle protection is created by having extra thickness inside the sock; this helps to prevent injuries like blisters by keeping the ankle from scraping across the inside of the shoe. The Achilles protection is a zone which is extra flexible, but still strong; to protect the Achilles from any injuries. The heel protection is antibacterial, to improve the health of your feet. This fabric is also extra thick to protect the heel area from injuries. The arch area is designed especially to create extra support for the feet. In this area, the fabric is a bit tighter than in the rest of the sock, like the fabric in the Achilles protection. 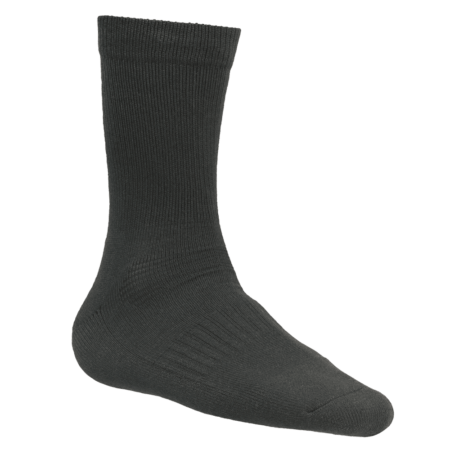 The Flex fit is designed with thinner and more flexible yarn; this prevents the sock from crumpling which creates more comfort.